It alleged that Chief Minister K. Chandrasekhar Rao was resorting to the extreme step at the behest of the MIM. 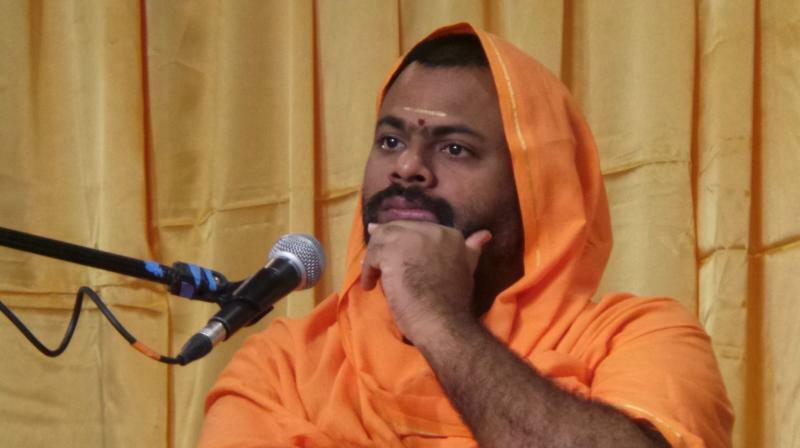 Hyderabad: The BJP on Wednesday termed the externment of Kakinada Sri Peetham seer Swami Paripoornananda from Hyderabad for six months as “externment of Hindus.” It alleged that Chief Minister K. Chandrasekhar Rao was resorting to the extreme step at the behest of the MIM. The BJP leaders met Governor E.S.L. Narasimhan to complain against Mr Rao, and to request him to revoke the externment of the pontiff. BJP leader G. Kishan Reddy said, “The government has been blatantly misusing power. It should clarify on what grounds it resorted to the house arrest of Swamji.